Light colored suits for men are often associated with spring and summer seasons. The lighter shade signifies the lightness of the season. 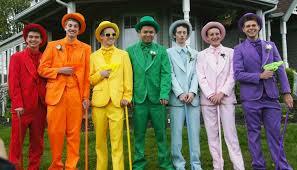 There are a number of options in light colored men's suits. The most unique and stylish being tan. Light colors like tan are not as formal as their darker counterparts. Tan suits look good in both stripes and checks. 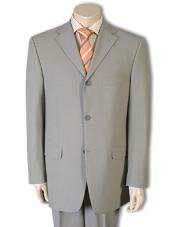 Pinstriped tan suits, checkered plaid windowpane patterns are more common in tan colored suits. 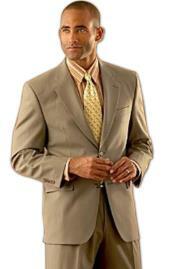 The Light-colored men's tan suits are often used as a comfortable summer wear option, and tend to be made from lighter fabrics. 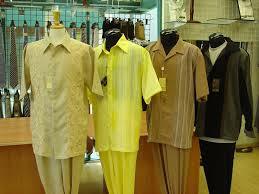 Cotton fabric and linen fabric are the most commonly used fabrics in tan suits construction. 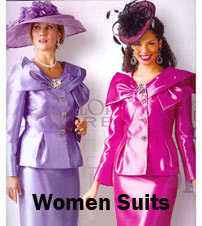 Some of these suits are constructed using the natural color of the thread to create a light tan. 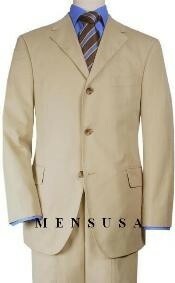 Tan suit combinations come in different shades of the color tan. 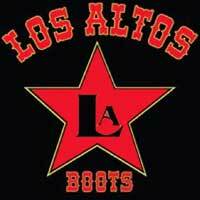 There are many color options as well in tan suits for men like light tan suit, dark tan suit and so on. Beige is a color that is very much associated with the color tan. 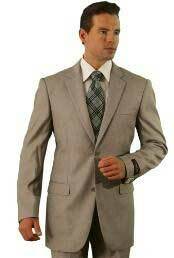 You can pick between beige suits, light beige suits and dark beige suits for men. 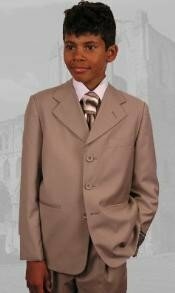 Pick classic collections of tan suits for weddings and look unique and different in a tan wedding suit. 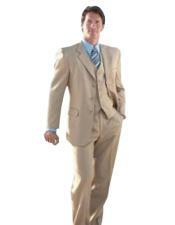 We at Mensusa sell all possible designs and patterns in men's tan suits. Pick a tan suit jacket, tan slim fit suit, tan prom suits, tan suit vest from this dedicated category selling tan suits for men. 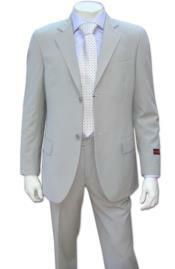 In addition to tan suits for men, you will also find collection in beige men's suits like beige suit wedding, obama beige suit, beige suit jacket, different beige suit combinations, beige wedding suits for groom, mens beige suits for weddings, beige slim fit suit, mens beige suits and Calvin Klein beige suits for men. Our tan suits are available in all designs like single breasted style, double breasted style, one button, two buttons, and three buttons, four and five button options. 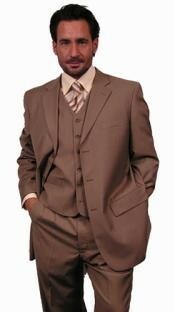 We stock all men's sizes in tan and beige shades of men's suits. Browse this category to shop by color tan in men's suits, dress shirts and matching tan shoes as well.